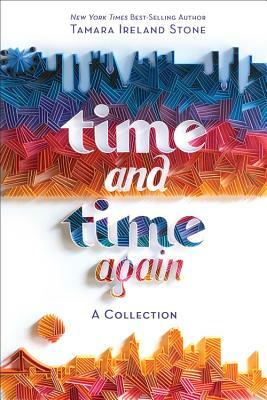 Anna and Bennett's thrilling, unforgettable love story sparkles in this collection of New York Times best-selling author Tamara Ireland Stone's first two novels, Time Between Us and Time After Time. They weren't supposed to meet. She lives in 1995 Chicago and he lives in 2012 San Francisco. But Bennett has the unique ability to travel through time and space, which he normally uses to see epic concerts from his favorite vintage bands. After an unexpected complication forces him to remain in 1995 for longer than usual, he has to enroll at the local high school. And that's when he meets Anna. Anna spots Bennett at the track during a training run, and she can't get the mysterious new boy out of her head. Or the feeling that he seems to know her already. As the pair grows closer, Anna is shocked to learn Bennett's secret, but his ability means they can experience times and places she never dreamed of seeing. That is, until a devastating crisis throws everything they believe into question, and Bennett begins to experience the terrifying side effects of his travels. Together, they face the impossible task of weaving together two futures that were never meant to intersect. "A beautifully written, unique love story." "A warm, time-bending romance? [that] will have readers rooting for the couple that keeps daring fate." "The story will hold readers with its twists and turns, present and future; its love, sadness, and anger; and especially, its surprising secrets." "A compelling story of love, fate, and consequences?with plenty of sigh-worthy moments, this novel is the perfect choice for readers who want a romance that leaves them with something to think about when it's over." "Romantic and passionate, Stone's debut novel is swoon-worthy...will resonate with readers who enjoy their romance mixed with adventure." "Time Between Us is the very best kind of love story --heart-pounding, intense, and unputdownable!" Tamara Ireland Stone (www.TamaraIrelandStone.com) is also the author of the New York Times best-seller Every Last Word. A former Silicon Valley marketing executive, she enjoys skiing, hiking, and spending time with her husband and two children. She lives just outside of San Francisco.